This was a rough year for women across America. Our bodies were obsessively critiqued and analyzed without our consent, we were consistently denied bodily autonomy and healthcare access, we were called names behind our backs and to our faces, we were harassed and even murdered in the streets, we continued to be paid less than men for the same work, we were told our worries don't matter or don't even exist, and much more, especially for women of color, LGBT+ women, and non-Christian women. So, it's been a rough year for women and femme-identifying people. Yet, still, here we are today, looking 2017 in the face and hoping it'll be better than last year. 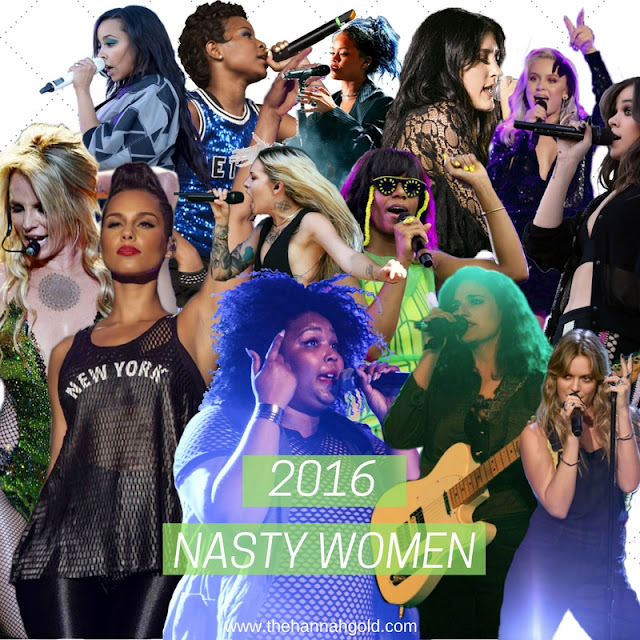 Luckily, 2016 was an excellent year for women in music, giving many of us the soundtrack we needed to combat the sexism happening all around us. I've compiled many of my favorite songs by women released in 2016 to inspire us to keep pushing and fighting.